← Independent Author calls for your support! It is apparent from the search parameters people are using on both my website and my blog (yes, I can check them lol); the majority of inquiring minds wish to know what’s going on in my world with Dr. H. H. Holmes. As many of you are aware, I have written a book titled Piercing the Veils of Death: A Paranormal Exploration, and a great deal of my time is devoted to marketing, radio and newspaper interviews and such. 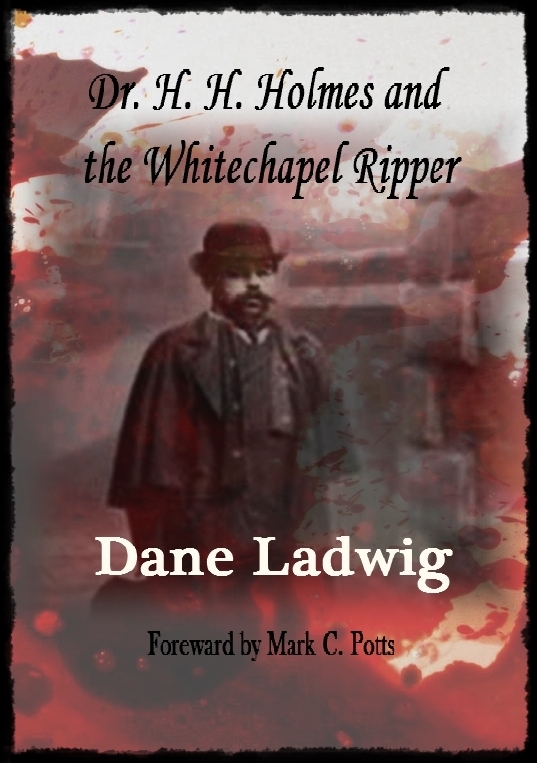 In addition, I am writing Dr. H. H. Holmes and the Whitechapel Ripper (forecasted for a fall 2013 release). To pen such a monumental book, which will reveal facts about Herman Webster Mudgett a.k.a. Dr. H. H. Holmes and his many links to the infamous Jack the Ripper, which have never before been made public, is painstakingly difficult. First, I must make sure the information is credible, and that includes case file information from the Holmes case and the open crime case of the Ripper. The people I am working with in the U.K. and home in the U.S. must be impeccable resources. Lastly, I must consider all possibilities before making the assumption Dr. H. H. Holmes is the principle candidate as the prime suspect in the Ripper slayings of 125 years ago. To accomplish this enormous task, I have sought the assistance of experts from all over the globe. I am currently working with Scotland Yard, the London Metropolitan Police, the United Kingdom National Archives, the United States National Archives, the Gilmanton, New Hampshire Historic Society, Dartmouth College, the University of Michigan Medical School, and various experts and certified investigators in a unified and collaborative effort to expose the truth. What has this benefited so far? Good question. I will share a misunderstanding people have had for several decades regarding Dr. H. H. Holmes. While Holmes was incarcerated, he documented his story. He told of a tale when he was a small boy living in Gilmanton, NH. The sensationalized story passed on from Holmes was regarding his schoolmates, “hooligans”, who shoved him into a doctor’s office and frightened the boy Holmes/Herman Mudgett, by thrusting an articulated skeleton upon the terrorized child. This was only partially true. My research has discovered the true story; the doctor’s identity, and a bond/relationship the doctor and Herman had throughout Herman’s life until the doctor’s unfortunate passing. Coincidentally, the doctor graduated Dartmouth College and mostly lectured at the University of Michigan Medical School. Herman Mudgett/Holmes attended Dartmouth for one year and graduated from the University of Michigan Medical School. This is but a brief moment of the research I am conducting to bring Dr. H. H. Holmes and the Whitechapel Ripper into the focus of speculation. Was Dr. H. H. Holmes coup de grâce, his most significant contribution to society and history, to be disregarded as the murderous Ripper for a century and a quarter, and go unnoticed… as a ghost in the night? Just when I think I have Holmes figured out, someone sends me more information. When dealing with Holmes, I have learned there’s always a new angle, a new direction. To be the first to bring it together, I feel like Alfred Hitchcock on the set of a Hollywood blockbuster horror spectacle – only this one is real. This one really did happened! I’m so excited about this book brother. Just can’t wait to read it. Thanks RJ. I look forward to getting it out there. I assure you, it will be well worth the wait my friend, so don’t despair!